Full length Romantic Drama standalone. This story blew me away. I didn't know what to expect going in and I loved what I got. Adele and Charlie start the journey at a co-worker’s birthday party. They've been in a long-term relationship but it's become stale. They both know they need to move on but making that first step, initiating that break up conversation. It goes so well they decide to leave the party and spend one last night just being them. Unfortunately, the night doesn't go as planned. A car accident leaves Adele in a coma. Charlie feeling guilty that he wasn't injured and that everyone keeps calling him her boyfriend. While Charlie and Adele's family sit by her side contemplating their lives’ directions, Adele is having an adventure of her own, where decisions will need to be made and hopes of finding her soulmate linger. 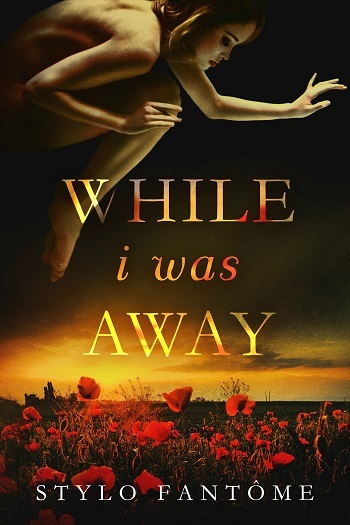 I loved this tale and take on what happens when someone is in a coma. It was nothing like I expected but everything I didn't know I needed. Stylo Fantôme knocked this one out of the park! An honest must read! Excuse me for this incoherent review. In truth, I have no idea how to truly review the novel. While I Was Away was most certainly original and unique, yet I wasn't blown away. There was just something that kept me from fully engaging with the story and the characters. There are many points-of-view, offering a different take on the world in which this takes place. Adele, her three brothers, her best friend, her boyfriend, and Jones. While not a large cast, all connecting to Adele, their stories are shown to add the depth to enrich the story. The opener resonated with me, knowing exactly how Adele and Charlie felt in that moment. I experienced it in the middle of a restaurant, while sharing a meal, feeling as if reality was the dream, and I wanted to wake up and not be there with that person anymore. Rendered comatose from a car accident minutes after breaking up with her boyfriend, Adele draws the reader on a trippy journey. While many will probably find this a beautiful portion of the story, I need to be honest. After a few 'trips,' I started skipping it to get to what was happening in reality. Not because I'm not a fan of the fantasy, but because it was too... perfect. 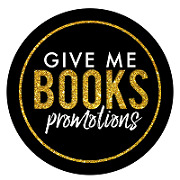 Truth be told, I missed the emotionally stunted train wrecks I'm used to reading – never thought I'd admit that, to be honest, always begging for a more mature take in books. Adele's brothers are perfectly flawed in a way that makes them interesting, as is her best friend. That's what I was missing, were the flaws. I was torn because I enjoyed Ocean's storyline more than Adele's, because it felt 'real.' Even after waking and finding Jones, it still had a fogginess of anti-reality cast over the story, which took away from my enjoyment. That is my issue in a nutshell, the perfect Adele, Charlie, and Jones got on my nerves, as the rest of the imperfect cast shined brightly, because I found them interesting. Even the predatory co-worker was shown as being good, heart in the right place, to make Charlie happy. The rest of it felt too quick, instantaneous in the emotions before they had time to develop, to a fantasy genre degree. Ocean's storyline overpowered Adele's with the realism, overshadowing what was to be the beauty of the story. I do feel bad for writing this review, as I warned it would be incoherent. I wanted to like it – I tried. I got what Fantôme was attempting to create, and I'm sure it resonated with many readers, but for me, it missed the mark. I won't forget the novel, that's for sure. Stylo Fantôme is one of my favorite authors, and this story had its good points and its bad points. Let’s start with the positive. I really enjoyed the first half of this book. Charlie and Adele have decided that maybe they aren't meant to stay together forever (I really love how they handled this). Together, they agree that this is the end – there're no dramatics or rage. Unfortunately, their last moments together involve a nasty accident. 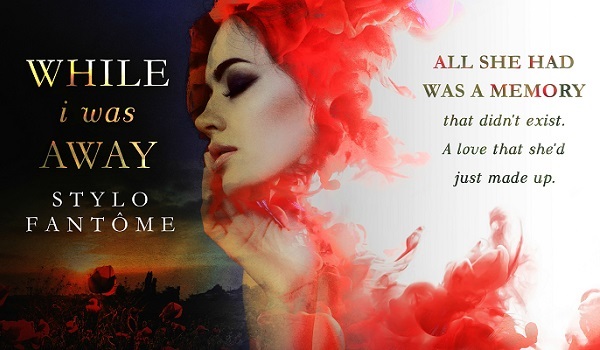 While in a coma, Adele experiences a new life complete with new places, people, and Jones. I love the world within a world! I felt like I was transported to a fantasy land, or maybe an LSD-fueled dream, but it was still very interesting. I like how the author went between the dream-world and the real-world. I absolutely LOVE Adele's brothers and her best friend, Zoe. They add an element of reality and richness, rounding out the fantastical elements. The second half of the book was okay, but I don't want to give anything away. I will say that I thought it felt rushed. I didn't feel the real-world build-up I was hoping for. Having said that, I absolutely LOVED the ending. Overall, this was an emotional story and I found myself laughing out loud and even crying a few times. For a story that I found only okay at times to make my cry, it must be a good story. I love all of the characters and would love a follow-up story on the rest of the brothers. 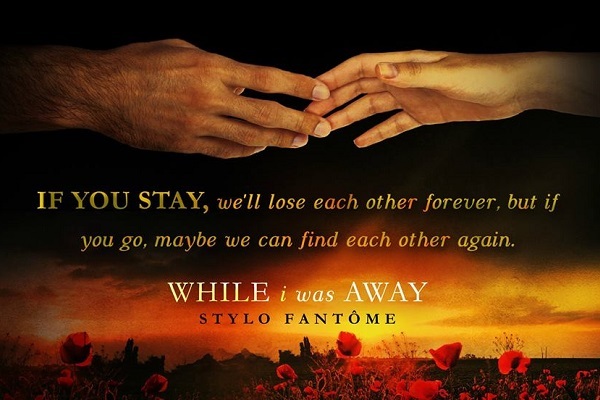 Reviewers on the Wicked Reads Review Team were provided a free copy of While I Was Away by Stylo Fantôme to read and review for this tour.